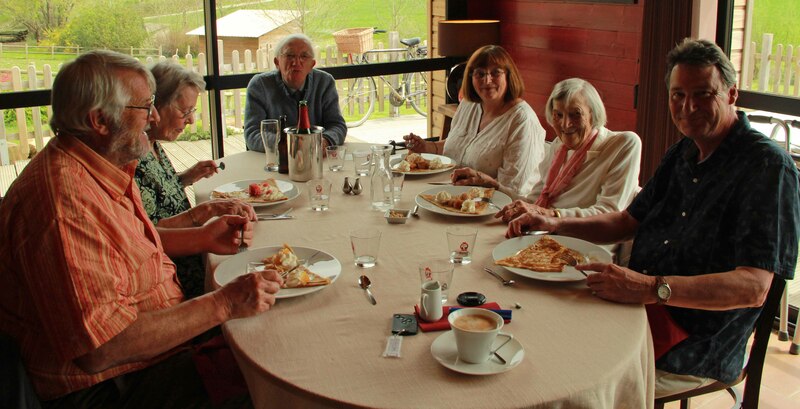 One of the pleasures of summer is eating out, with friends and family. We were invited to David and Jill's for a magnificent meal along with twenty opportunities to meet old friends and make new ones. A most enjoyable evening, much appreciated. 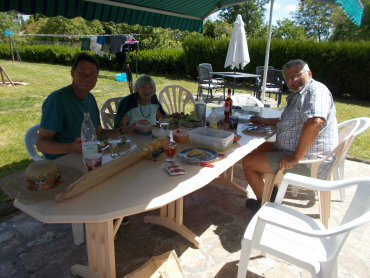 One day we took Mum to my brother's house to inspect the now-finished pool, and had a picnic lunch on the terrace. The pool is excellent, marvellously deep and cool and very well made almost entirely by Mike's hand. And knees and back and blood, sweat and tears. We had to try it out with a dip... although the water's not had time to warm up a lot so it was a brief dip. Lunch was jolly nice, too. 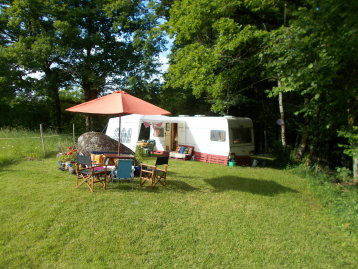 Another hot evening was spent at Polly and Colin's secret garden, with a fine dinner served under the awning, a delicious meal featuring the truffle we'd brought them from the Perigord. Wonderful. 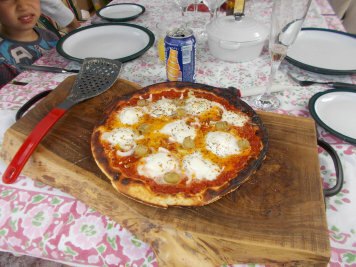 Our pizza oven has been well used, and our technique improves with each one. If you ignore the 'well-done' edge, the pizza's pretty impressive. More practice required! Food always tastes better when eaten outdoors, I find. 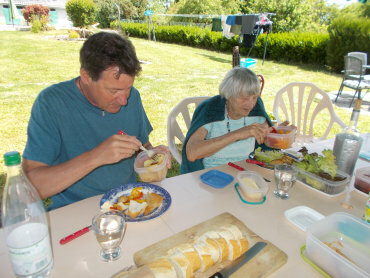 Lee and Margaret brought their grandson Kai for a swim and pizza supper. The chickens joined us too.